I feel like I'm recycling some of my Dec forecasts. 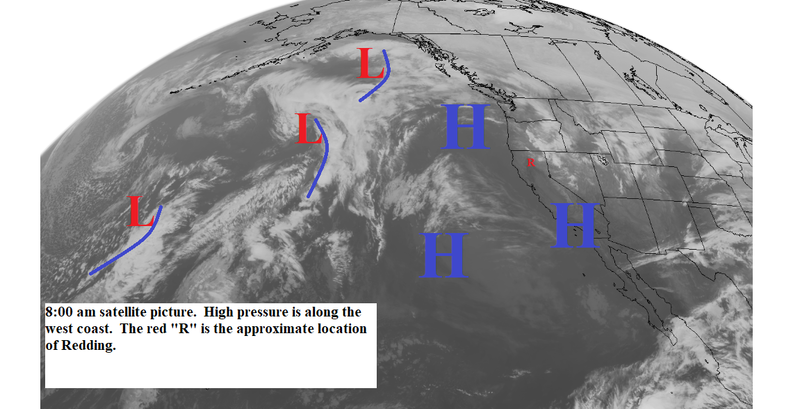 Strong high pressure ridge is along the coast and will continue for the next week (see map below). Mostly sunny days with record or near record daytime temperatures through Wednesday. Temperatures will cool a little Thursday through the weekend. We will continue to have periods of gusty north winds.